How can I send a test notification on iOS? 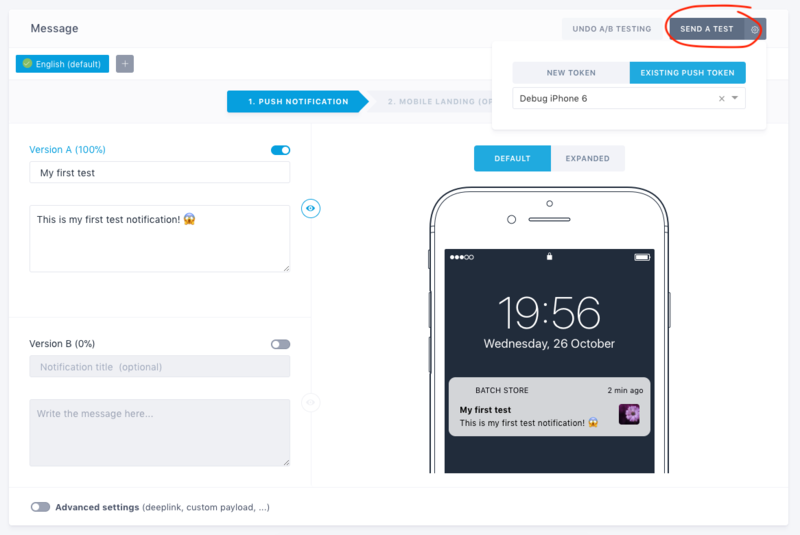 You can send a push to your iOS device from the dashboard to ensure your notification is displayed correctly and test your integration. You can install The Identifiers app on your iOS device to find your advertising ID. 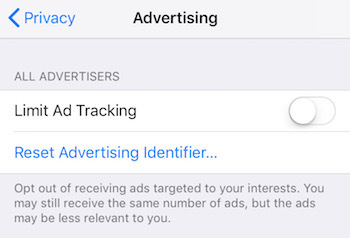 Make sure "Limited Ad Tracking" is not enabled in your device's settings > Privacy > Advertising. Otherwise, you will need to disable it and reopen your app. 🚧 Didn't find your installation? This may happen if the app doesn't share the advertising ID of your device with Batch. 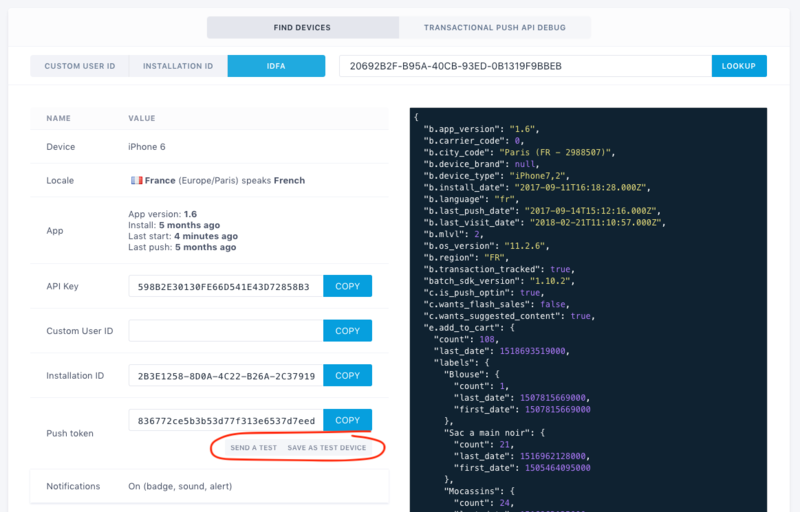 Ask your developers if they send a Custom User ID to Batch or if they can display Batch's anonymous Installation ID somewhere in the app.